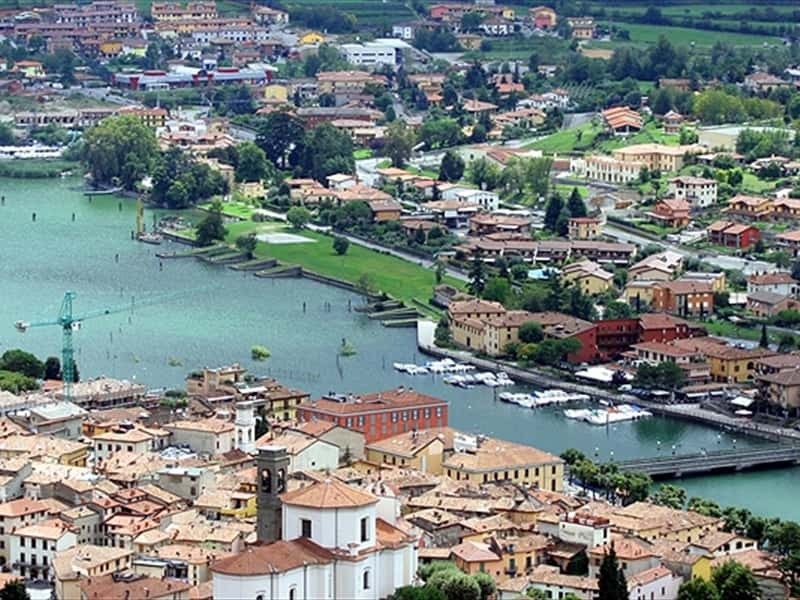 Town in the province of Brescia, located at the Southern end of Lake Iseo, near the border with the province of Bergamo, Paratico is a popular tourist destination that enjoys a mild climate and beautiful natural landscape. The discovery of the remains of a dwelling villages, dating back to 2000 years ago, attests that the area was inhabited since ancient times. The village is dominated by the imposing Castle of Lantieri, now in ruins, built in the XIII century on the ruins of a manor of the year 1000. The local historians narrate that even the famous poet Dante stayed in this castle and at the time he was inspired and wrote part of the Purgatory of the Divina Commedia. Not to miss: the Parish church of Santa Maria Assunta of the XV century, with polychrome inlays and a beautiful altar of Our Lady of the Rosary. This town web page has been visited 19,457 times.